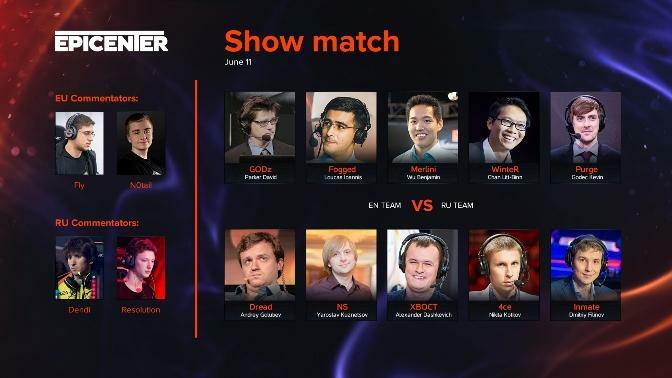 A show match at EPICENTER: Moscow! Games would be quite boring to watch without awesome commentators and analysts. These are people who can bring emotion to the most ordinary match. But what if they sit down to play themselves? At EPICENTER: Moscow, we’ve prepared many surprises for you, one of them being a show match between your favorite talents. Which team will prevail? Who’ll be the biggest feeder, Dread or Merlini? We’ll find out on June 11. The match starts right after the opening ceremony at 12:00 CET. Commentary for this madness will be provided by stars of the pro scene: Dendi & Resolut1on in Russian, and Fly & Notail in English. Don’t miss it!